Scott, Wilson and Shackleton return to the Discovery. On February 3rd 1903, Scott, Shackleton and Wilson made it back to their ship Discovery, after their arduous Southern march, which had commenced on November 2nd 1902. 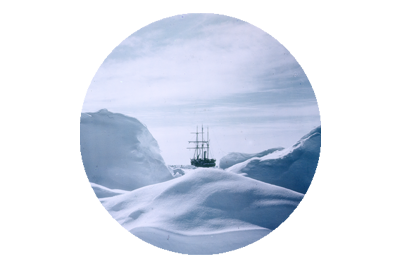 The objective had been, according to Wilson’s Diary “to get as far south in a straight line on the Barrier ice as we can, reach the Pole if possible, or find some new land”, but it is safe to suggest it was never really likely that the Pole would be attained on this particular excursion. The men lacked the skill and experience required with dogs, and indeed the ice, and from the offset progress was slow, and planning poor. Despite this, a depot laying support team, which had Tom Crean among its number, passed Borchgrevink’s previous Farthest South point of 78°50′S, on the 11th of November 1902. But after the support teams had returned to base, four days later, the three man team struggled to make telling progress. The dogs weakened quickly, and mileage attained was one for every three that they walked, as Scott had opted to relay their loads in two runs. This meant hauling half of their supplies forward, and then walking back to fetch the remainder. The men enjoyed double rations on Christmas Day, and continued southwards until December 30th when at a position of 82°17′S, they turned for home. 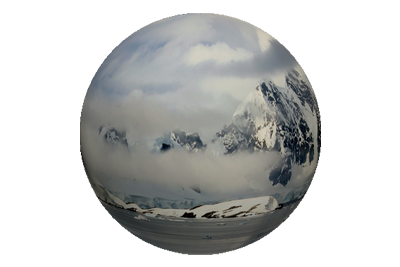 It was a new Farthest South record, which had well exceeded the previous one, but in terms of reaching the Pole, they had not even left the Barrier, nor for that matter had they reached the as of yet undiscovered Beardmore Glacier. The return journey was a torturous one for the team, as snow blindness and frostbite affected them badly, and Wilson noted in his diary, “we all have slight, though definite symptoms of scurvy”. Shackleton was worse affected by the scurvy and collapsed as a result, no longer able to pull the sledge. He completed the journey walking alongside, and sometimes having to be placed upon the sledge and pulled along by Scott and Wilson. 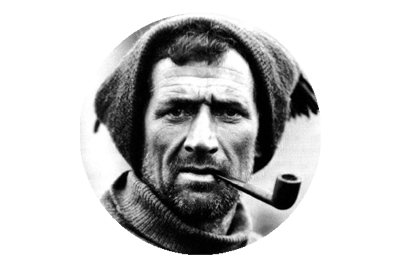 They eventually returned safely on February 3rd 1903 after 93 days in the Antarctic wilderness. Scott would later publish his book The Voyage of the Discovery and his telling of Shackleton’s breakdown would lead to disagreement between the two. 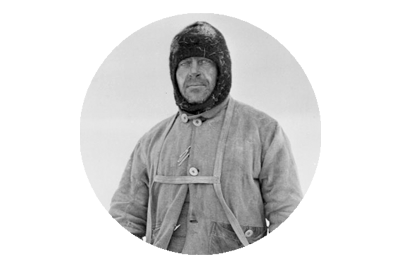 It appeared to Shackleton, that Scott was implying that they could have achieved a more impressive Farthest South record, but for his condition.